The Meetup will take place on 17th of October from 5pm to 8pm at The Belfry, Sutton Coldfield with food and beverages supplied. If you want to be a presenter, please comment on this post below, we'll contact you. All sessions are now filled. Attendees are also invited to join us the following day for the UK Technology Summit - which is the annual gathering of the InterSystems community to discuss the technologies, strategies, and methodologies that will leverage what matters – competitive advantage and business growth. Register for the Meet Up here (link to http://www3.intersystems.com/its2017/registration) and select UK Developer Community Meet Up. Topic from @Rob Tweed is introduced. We have one free slot available! And we would have a session regarding containers from @Luca Ravazzolo, InterSystems Product Manager. 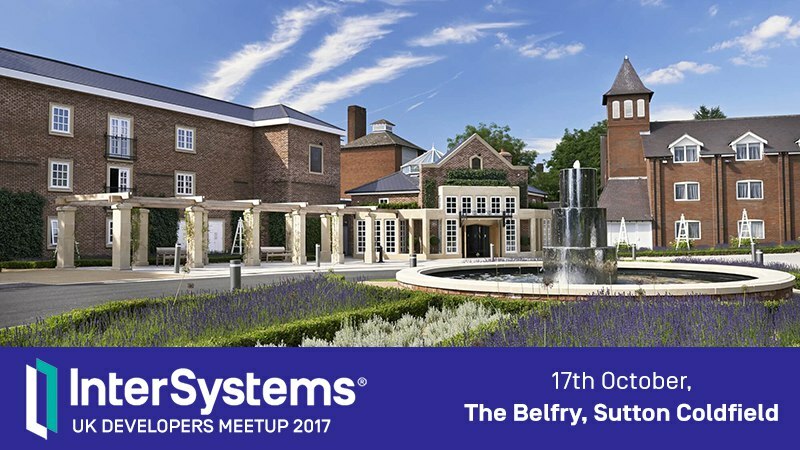 Come to InterSystems Data Platform UK Meetup and InterSystems UK Summit! We would have a live stream in two hours. Join! We live now! If you have any questions for presenter you can ask it online. To accompany the YouTube video I have posted the slide deck for my talk (the first one) here. Slides from @Luca Ravazzolo session are available here. You touched on a very sore subject. As I understand you!